Prohibition Collection — For an in depth look at the entire Prohibition Collection, check out my post on Behance. https://www.behance.net/gallery/21937991/Prohibition-Collection-Playing-Cards Here's 5 of the Prohibition playing cards I designed this year. 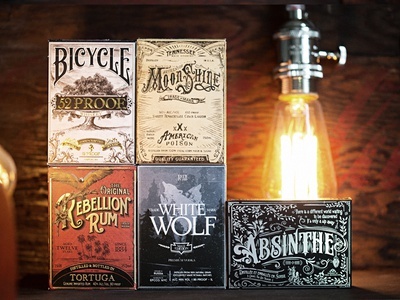 All inspired from vintage alcohol labels from the prohibition era. Check the attached image for a full size shot. 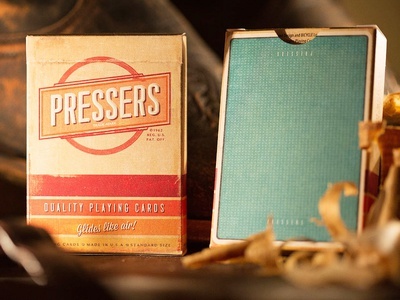 Pressers Playing Cards — Mad Men inspired playing cards. Check the attachment for lots of extras. 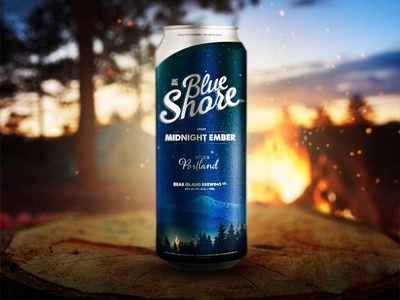 Midnight Ember — The next one in the series, Midnight Ember stout. Rebelllion Rum — Here's another deck of cards in the Prohibition series... 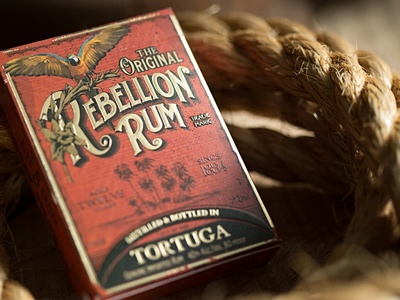 Rebellion Rum. 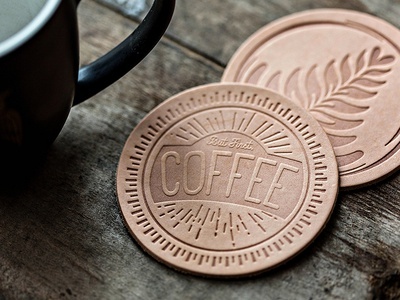 The gold foil really made this come to life. 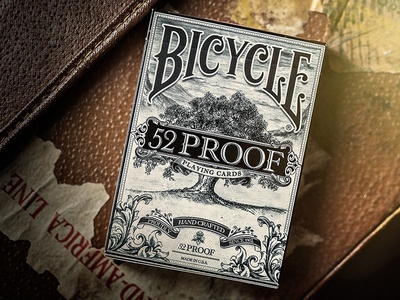 52 Proof Playing Cards — Throwback to the first deck in the Prohibition series, still an all time favourite. 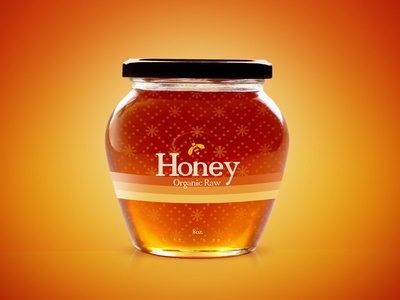 Honey — Mmm... Organic, Raw Honey. 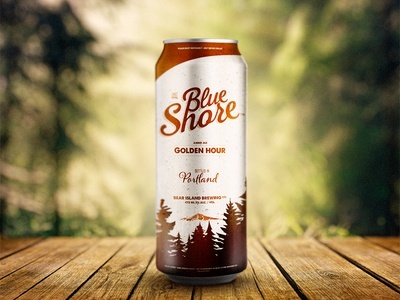 Blue Shore Beer — New can design for Bear Island Brewing Co... Golden Hour amber ale. 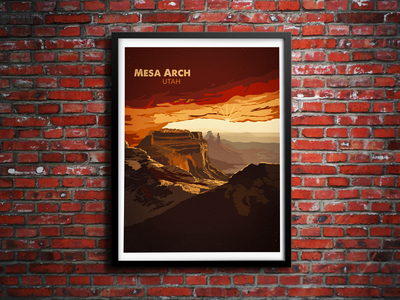 Mesa Arch — Mesa Arch, Utah. 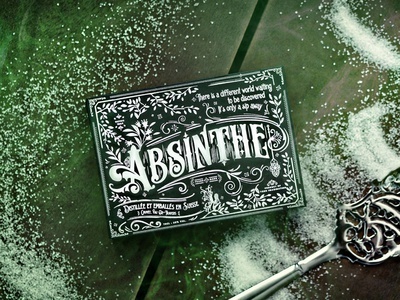 Absinthe Playing Cards — Back in Jan I took on the biggest undertaking of my graphics career. It's been hush hush until now. 1 of 6 brand new decks of cards to be released next month. Check out the attachment. This one was especially fun as there's so many details. Stranger and Stranger had an influence in this as well as many others. 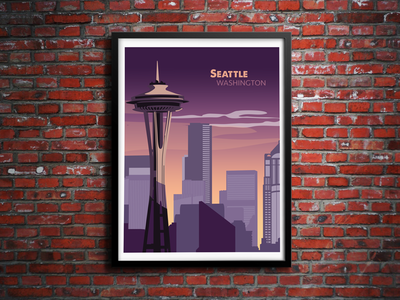 Seattle Sunset — For all you Seattle Dribbblers. 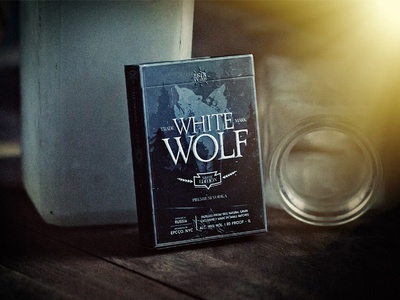 White Wolf Vodka — So many tiny details surrounding this box, it's refreshing exploring them all again. 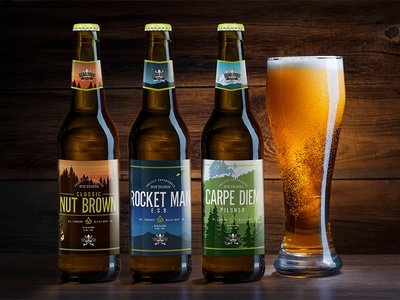 Dead Frog Brewery — I was recently contacted by the awesome people at Dead Frog Brewery in BC, Canada. Here's a few of the new labels that are making their way to shelves... The Carpe Diem one has since changed but this was still a favourite of mine. 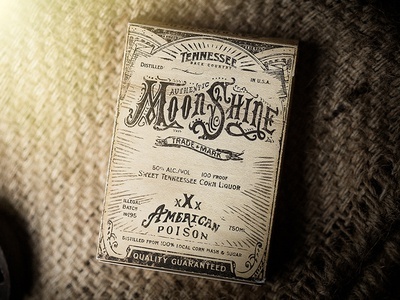 Moonshine — Good ol American Moonshine. Fresh from the back woods. 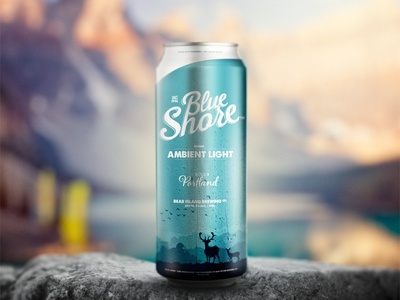 Ambient Light Blonde — Ambient Light Blonde, crisp and refreshing. 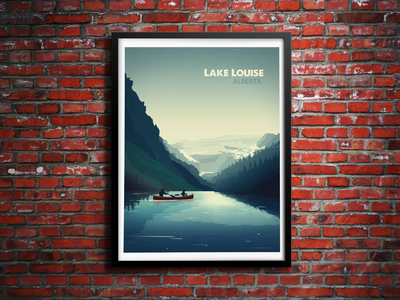 Lake Louise — Absolute favourite so far. Having this one blown up for the hallway. 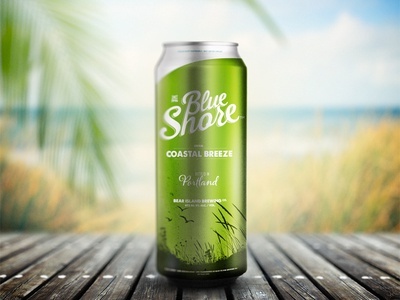 Coastal Breeze — The last one in the lineup, Coastal Breeze Cream Ale. 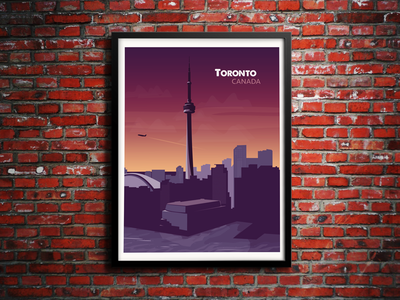 Toronto Sunset — Toronto sunset poster. 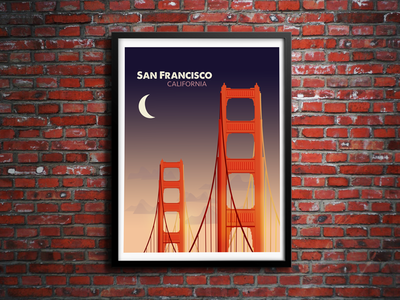 San Francisco Night — Last version, night time. Now I have no idea which I like best. 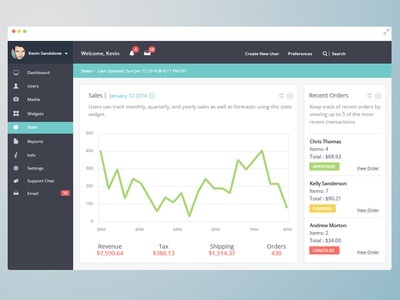 Dashboard — Website dashboard for a current project I'm working on. 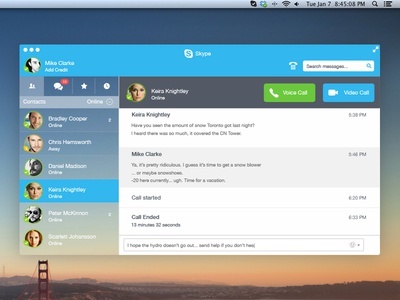 Skype Redesign — I use Skype every day for work and every day I have to look at how ugly it is. Here's how I'd like to see a new update look. 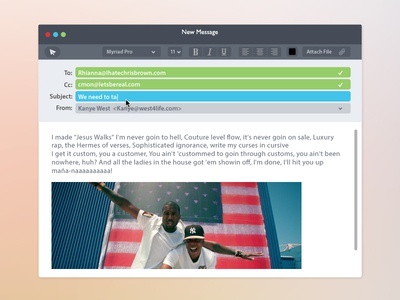 Compose Message — Here's how the compose new message would look. 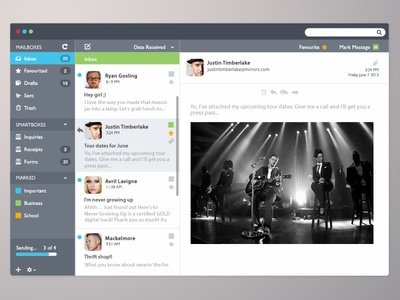 Mail Client — I don't know about you guys, but Apple mail is one of the ugliest things about Apple's OS. So if it were up to me, this is how I would have it. Thanks to @Jeremy Sallée ✦✦✦	and @ShenQ for the icons. Flats — Thought I'd give a crack at flat design. I like sharing the love, so get the PSD below! :) Feel free to rebound any changes or additions you make to them.